Until recently, however, despite their ubiquity in historical documents, social relations and cultural productions, animals have rarely been of serious interest to mainstream historians. American Beasts argues that an adequate understanding of American history, and indeed of ‘human’ history more broadly, requires a sustained engagement with its multifaceted more-than-human dimensions. The contributions collected here offer various insights into the broad relevance of animality and human-animal relations – from the culture of pet-keeping and the role of animals and animality in the context of slavery and abolition to the emergence of animal athletes at the turn of the twentieth century – as aspects that have always influenced all areas of American society. 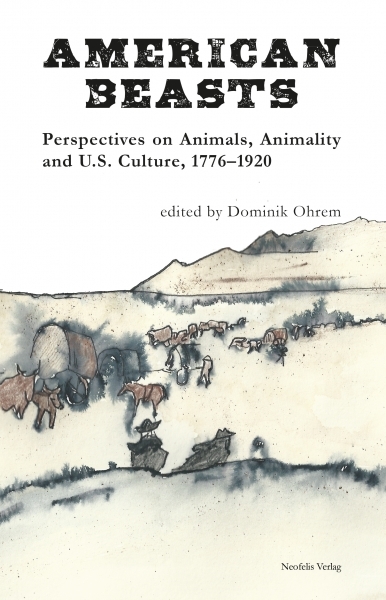 In addition, by highlighting the ways in which human-animal relations crucially shaped the relations (of power) between different groups of humans, American Beasts shows that a stronger concern with animals and animality also allows us to address the complex intersections between the history of human-animal relations and the histories of (for example) race, class and gender in the United States in the time from the early national period to the Progressive Era. Mit Beiträgen von Roman Bartosch, Keridiana Chez, Brigitte Fielder, Katherine C. Grier, Andrew Howe, Michael Malay, Neill Matheson, Dominik Ohrem, Olaf Stieglitz und Aimee Swenson.